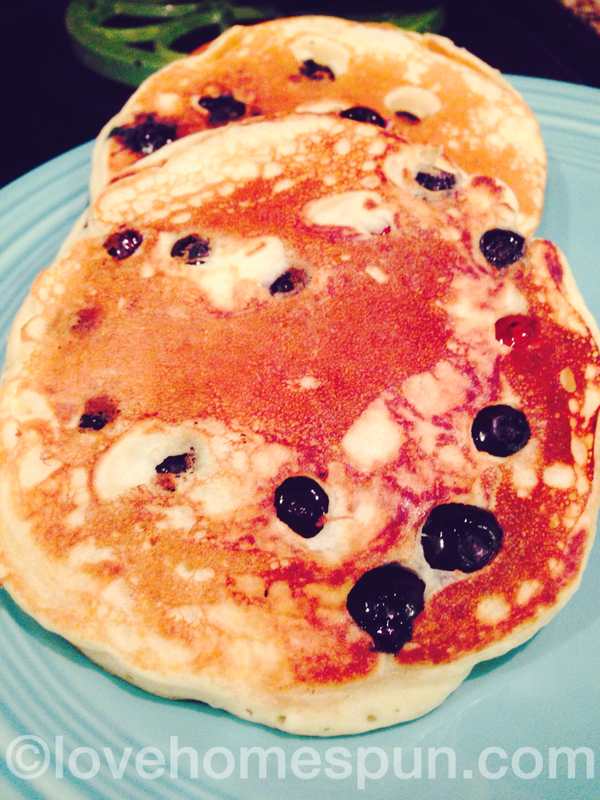 This Sunday, Mama wanted HER favorite breakfast…BLUEBERRY PANCAKES! We’re always so busy making everyone else’s favorite things, that sometimes its nice to make something special just for you. So, this Sunday I set out to develop my very own recipe and…I think I finally NAILED IT! 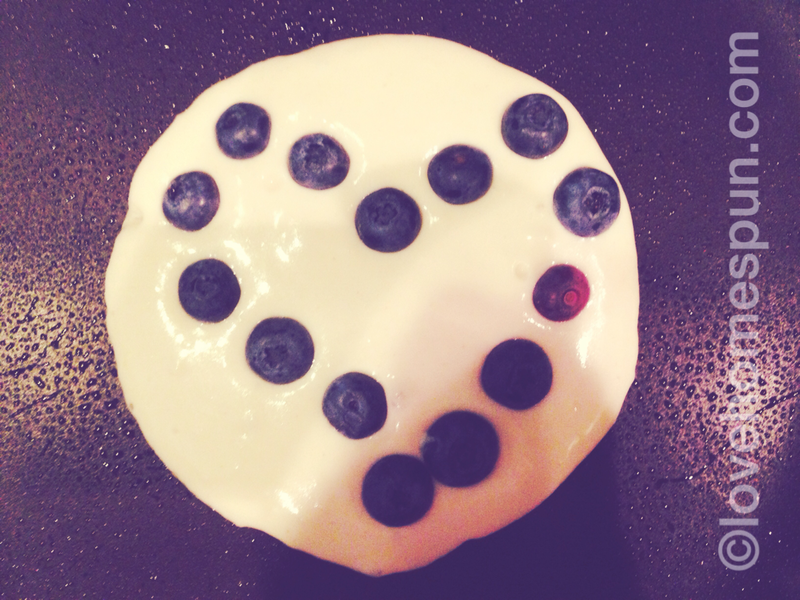 I swear to you, these are THE BEST pancakes I have ever had! SO yummy, and just sweet enough. 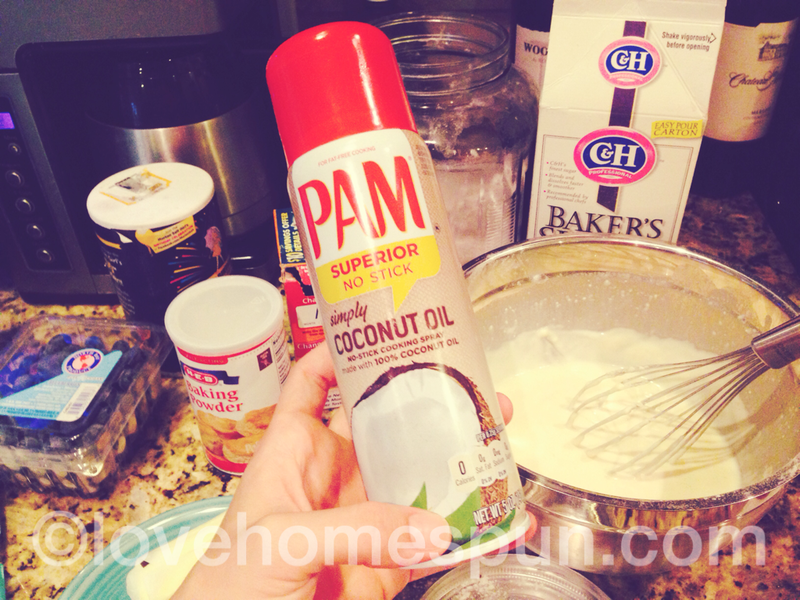 Recently, I picked up this coconut oil cooking spray and I really love it! 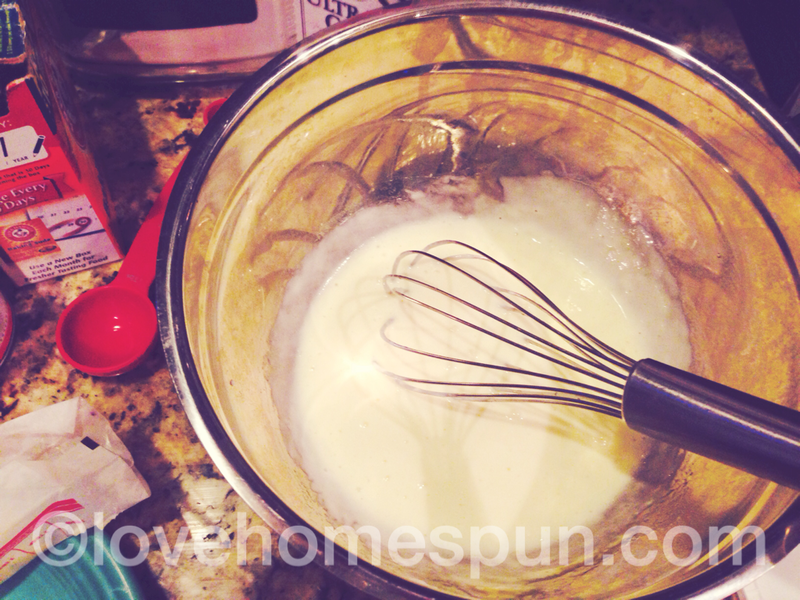 Anywho, combine all ingredients except the flour and whisk till smooth and creamy. Lastly, stir in flour leaving some small lumps in batter. Pour batter into prepared (sprayed and heated) non-stick pan to desired size. 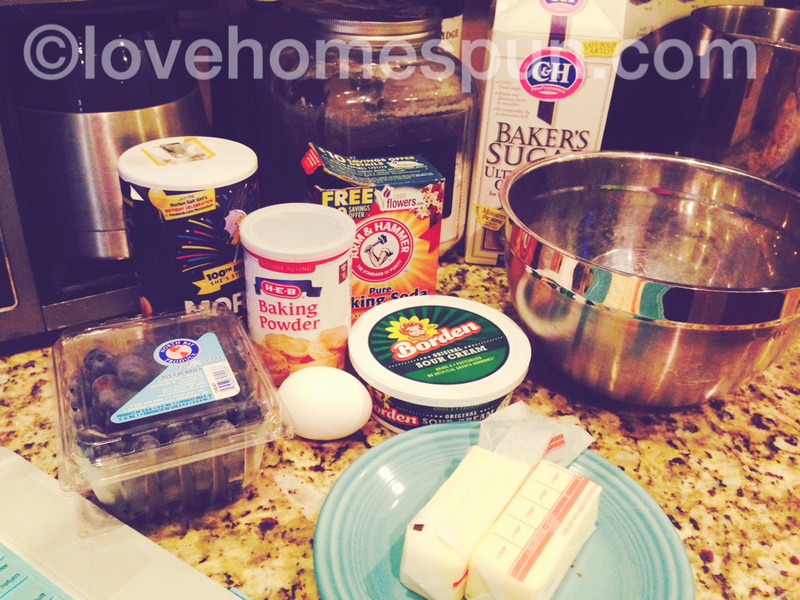 Quickly dot with blueberries, then allow cake to cook for a minute or so before flipping. Cook till batter is done through. Serve warm with maple syrup. Mmm…my mouth is watering just thinking about how amazing these were. Try these next weekend with your family, you can even make extra and freeze the rest for a quick filling breakfast before school or work! 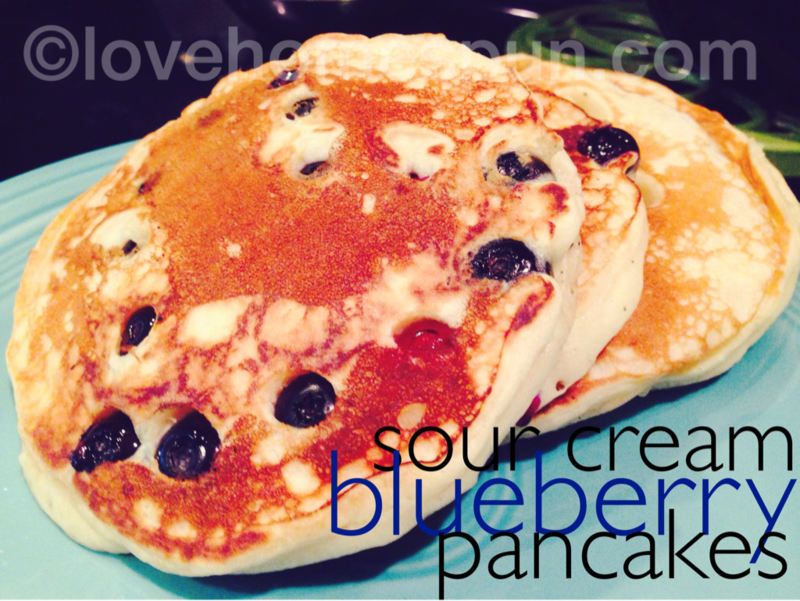 My kiddos LOVED these and they are NOT blueberry fans! I LOVE to pickle. Mostly we pickle onions and cucumbers, but I’m hoping to try peppers soon too! Anyway, I threw together this quick pickle the other night and it turned out GREAT, so I thought I’d share! 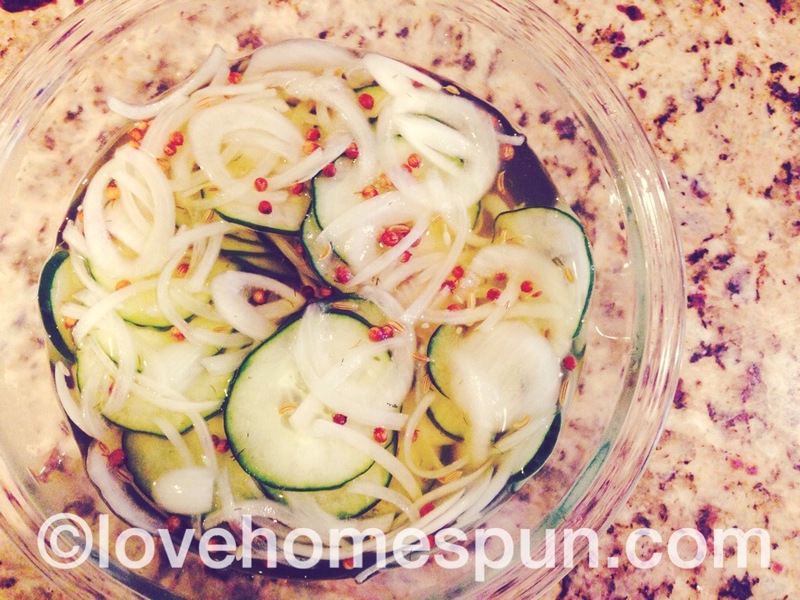 Slice Cucumbers and Onions thinly, I used a mandolin since I wanted them really thin. I was doing a quick pickle for dinner, so I wanted them to really soak up the flavor. Soak for at least 20 mins. Store in Refridge in airtight container. Pickles last about a week, the longer they soak the better they taste! Now, go get creative, you can pickle anything! Share your ideas below! I’d love to hear about your recipes and tips! PS. There’s a giveaway going on over here all you have to do is leave a comment! EASY PEASY! Oh and…here’s the prize! DRUM ROLL PLEASE!!! A Skin Care Kit from NYR organic! Yay!! You’ll even get to pick your skin type. The one above is what I use, for normal skin and I LOVE these products! I would get horrible acne while I was pregnant, and if I just washed my face with these (I also used one of those scrub brushes) every couple of days, (NO not even everyday!) I had NO issues at all! And of course (beware of shamless plug! lol) but if you want to check out these products for yourself you can click on the link at the right side of the page. They even have baby products! Sometimes I swear that a lot of health issues we face today simply come from the added chemicals in the products we use every day, so check it out! Ok, that’s all for today but check back in on Friday for a fun new weekly feature I’m doing called Fit Bit Friday! Not so Devil’s Food Breakfast Muffin. What’s for Dinner Wednesday? Chicken Curry!